Driven by fascination with cultural identity, Bibi's artwork epitomises social issues that stem from marginalisation and differences among society. Her thought-provoking masterpieces have been exhibited in multiple Asian, European and American countries. As a renowned artist and judge of various art competitions, she has won major awards in Malaysia and abroad. Maamor's unconventional approach of employing the technique of splattering using splash of colours distinguishes him from other painters. His famous Dragonfly series celebrates the country's rich heritage with scenes inspired by paddy fields, kampung houses and boats. The self-taught artist has participated in over 70 exhibitions nationwide and internationally. Apart from painting, he also leads a musical troupe called Keroncong Arif Lukisan that often performs in Indonesia. Prior to his career as an artist, Nicholas had a stint in graphic designing, sound engineering, music producing and achieved success as a DJ. 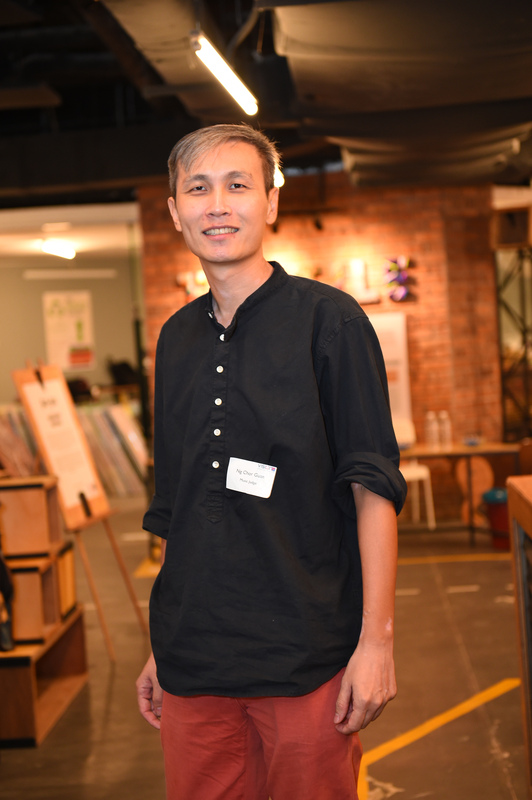 It was in 2011 that Nicholas was catapulted into the world of visual arts and design as he began painting again and mentored under Wei Ling Gallery. As a full-time artist, he has worked with renowned brands such as Uber, L'Oreal, Gamuda and more. Nicholas was also one of the art demonstrators organised by Premier Art for Vision Petron in 2017. 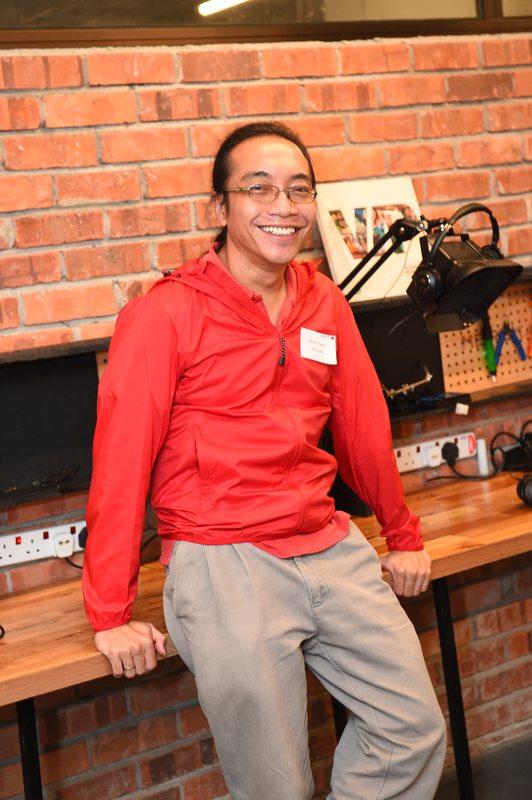 One of Malaysia's most sought-after sound designers and music composers, Guan's diverse work has made him a familiar face in various arts festivals worldwide. This highly-acclaimed composer and artist has seen his film music awarded the prestigious Grand Prize in both the Clermont-Ferrand Short Film Festival in France and the Art Film Fest in Slovakia. A maverick music composer, whose unique work fuses innovative and technological musical approaches, has 11 albums currently under his belt. Azmyl has always been hailed as the Malaysian version of Bob Dylan. Versatility best describes his style as his genre ranges from punk, indie-noise rock to post-rock and more. This seasoned composer and music director from Perak has carved a name for himself in the music industry. Fauzi began his foray into music as a guitarist in the band called Discovery, one of Malaysia's top bands back in the 70s. His compositions have struck a chord with the likes of Datuk Seri Siti Nurhaliza, jamal Abdullah, Anita Sarawak and more. He has composed songs and produced music albums for these artists throughout 25 years of his career. Klang Valley-based Yaman is no stranger to the world of photography as he has achieved multiple awards both locally and internationally. Through his lenses, this award-winning photographer captures all forms of photography ranging from landscape to architecture to documentary. His knack for photography was evident even in his childhood when he painted all the murals on his school wall. At the age of 18 when he bought his first camera, a Yaschica FX-7,Yaman has not looked back since. Nick, the accidental photographer, was once a dental surgeon by profession. His purchase of a camera meant for recording his patients' cases catapulted him into the world of photography. As an avid travel photographer, Nick's work often tells the stories of communities and has won him the 2017 Siena International Photography Award among others and is appointed by Sony Malaysia as their Alpha Professional Photographer. 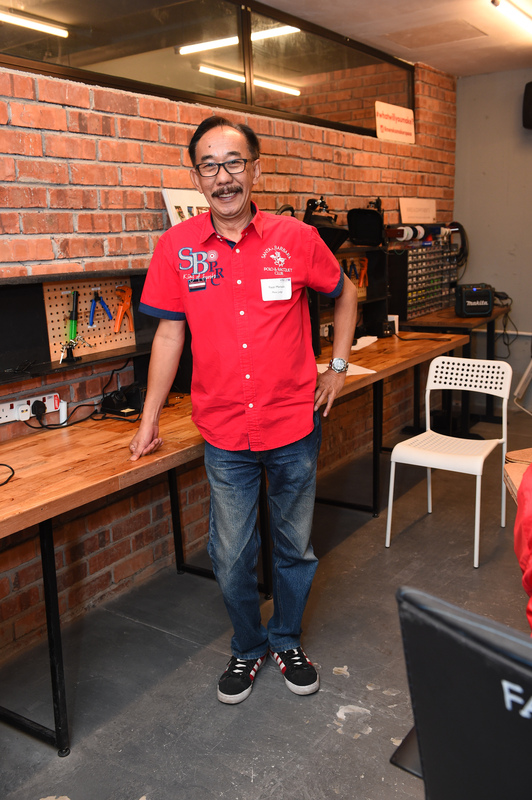 One of nine Malaysians inducted into Canon EOS Hall of Fame, Kok Leong's illustrious journey goes back to 31 years ago when he joined The Star Publications. As a Committee Member of several Malaysian photography societies, his vast experience has enabled him to be a fitting judge of numerous photography contests. 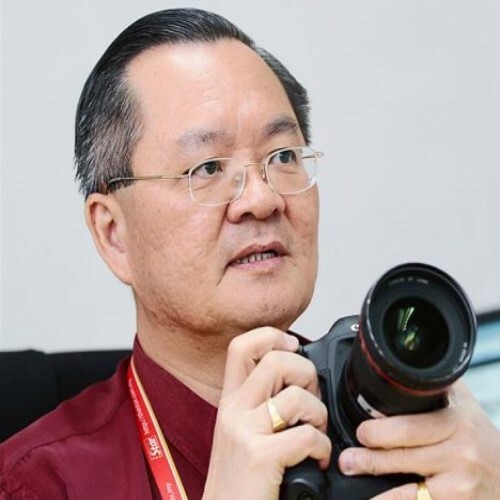 Kok Leong's achievements include an Honorary Photography (Degree) from Shih Hsin University in Taiwan, Honorary Fellowship with the Society of Photographers, Malaysia and The Photographic Society of Malaysia. 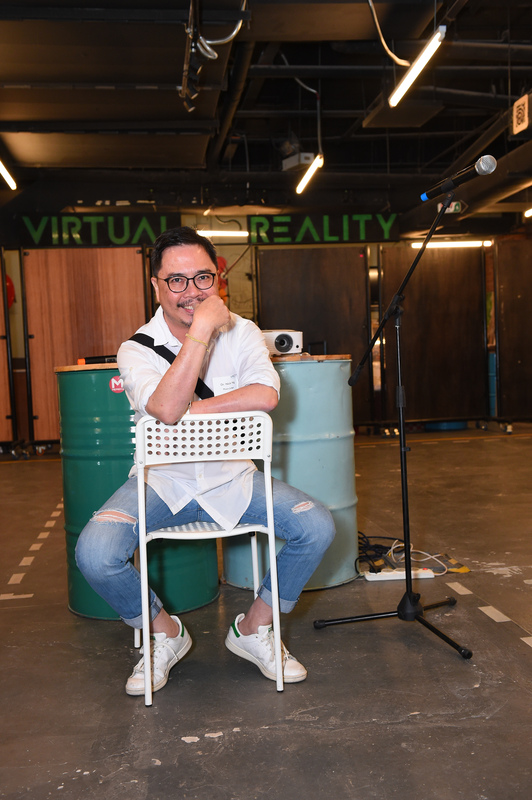 Born in the quiet town of 1poh in 1973, James Lee has come a long way in the world of filmmaking and is one of the pioneers of Malaysia Digital Film Movement. Prior to filmmaking, he has dabbled in acting and directing theatre plays by relying on his self-taught skills. His critically-acclaimed film,The Beautiful Washing Machine, has won the Asean Best Feature Award and FIPRESCI Prize at the 2005 Bangkok International Film Festival. As a celebrated filmmaker, producer, director and actress, Tan Chui Mui emerged as the first Malaysian filmmaker who has scored numerous prestigious prizes and awards at the European festivals. Love Conquers All - her first full-length feature film - won several new director's awards in the Busan International Film Festival and Rotterdam International Film Festival. As a multi-talented filmmaker, she also mentors aspiring talents and has founded Da Huang Pictures with Amir Muhammad, James Lee and Liew Seng Tat. 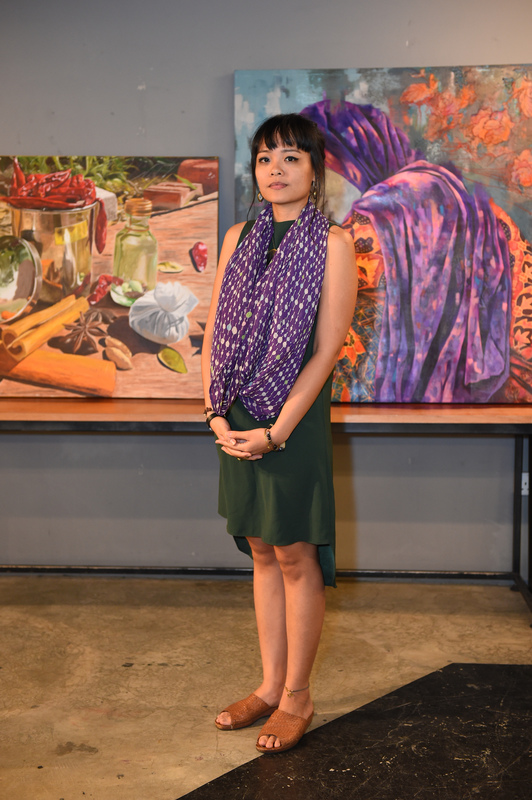 Born in Sabah, Nadira's Dusun heritage has spurred her journey in filmmaking as she strives to bridge the cultural differences between East and West Malaysia. Her work gravitates towards community and social scenarios of the Borneo culture, as portrayed in her debut feature film Wilderness. The experimental-narrative film - produced by her partner Pamela Reyes from the Philippines - has been selected for the 2017 Luang Prabang Film Festival (LPFF) Talent Lab. 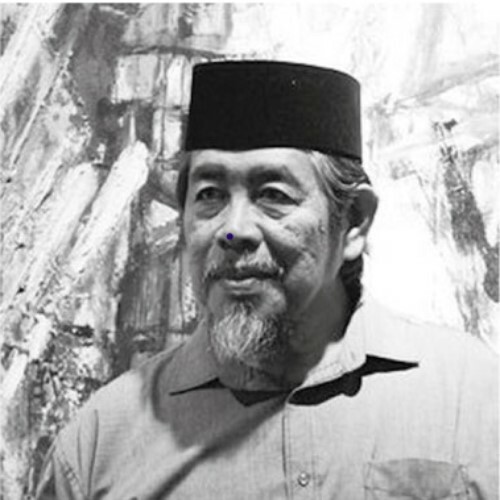 Born in 1956, full-time artist Awang Damit Ahmad has had a fair share of art exhibitions dated all the way back to 1977. The down-to-earth Sabahan artist began his journey to the center of the art scene from his hometown. His recent works around Southeast Asia and London in 2015 and 2016 show that he isn’t slowing down. 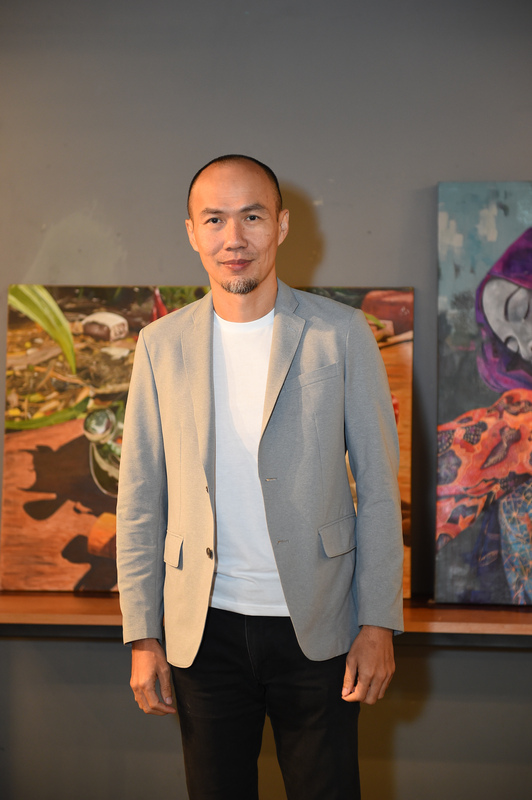 Prior to earning a Master’s Degree in Fine Art Painting at The Catholic University Of America, he graduated with a Diploma in Art and Design with a focus on fine art at Institut Teknologi Mara Malaysia. With more than 30 years of professional experience, the celebrated abstract expressionist painter was eager to share his knowledge to people from all walks of life. 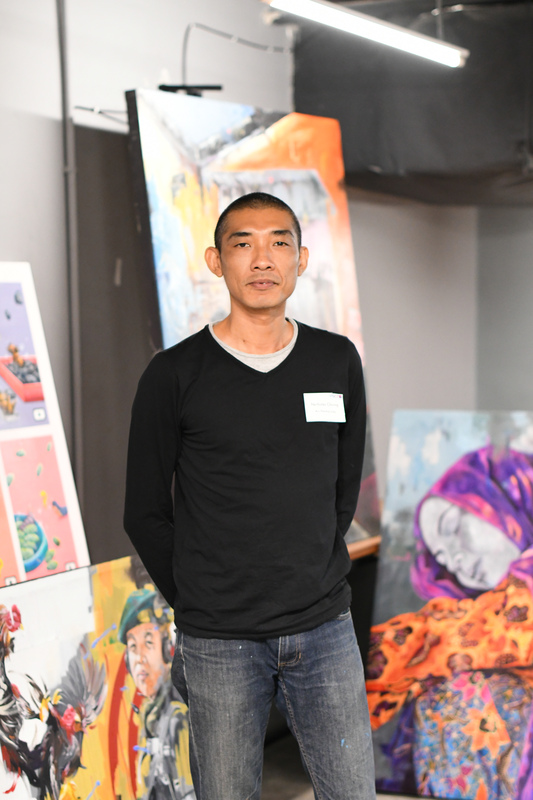 Not only has he worked as a full-time artist, he has also taught fine art for many universities as an art instructor and associate professor. An award-winner in multiple major awards including two occasions in the international scene, 2012 was a notable year when “Ecorea Jeonbuk Biennale” won gold as Honorary Ambassador in Korea and a second gold medal was collected in the Olympic Fine Art London. 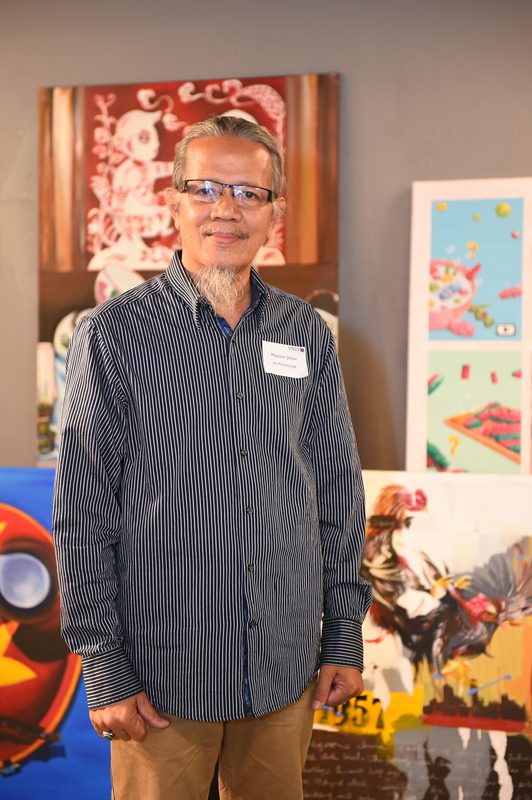 Bayu Utomo Radjikin is a Tawau, Sabah born artist specialising in fine art, contemporary art, pop art, sculpting and much more. Plenty of his work has been exhibited in many gallery shows worldwide, including the UK, USA, Austria, Indonesia, India and Malaysia since the late ‘80s. The figurative artist is best known for his highly abstract and cultural work with sculptures and paintings that highlight public and personal identity, social commentary and international political tensions. Preferring to carve traditional warrior-like sculptures, his works have been sold around Malaysia through public and private galleries. His paintings often reveal his signature brush strokes and techniques to project human emotions and body parts. Bayu Utomo Radjikin progressed with a Degree in Fine Art from University Technology Mara in 1991 and has had plenty of early successes throughout his artistic career, particularly the Major Award at the 1991 Young Contemporaries Competition, and Honourable Mentions at the 1994 and 1995 Philip Morris Art Awards. He is a patron of the MATAHATI art collective and director of House of MATAHATI, seeking to nurture, cultivate and promote contemporary talent within the local landscape. His most recent solo exhibition, “Face Without Name” took place at The Substation Gallery, Singapore in 2011. Stimulated by ideas of cultural identity ever since she became an art student in RMIT University, Melbourne, Australia, Bibi Chew is an explorer fascinated by race, environment and gender issues. With her creative mindset, she began to shape her career via thought-provoking art in the mid-’90s. Her artwork speaks of metaphors with underlying hidden meanings through creating commentary employing familiar objects. She has carved, stitched, layered, used and transformed eggs, glass bottles, sand, butterfly catchers, coffee strainers and others to produce metaphorical art for marginalisation, containment and destruction. 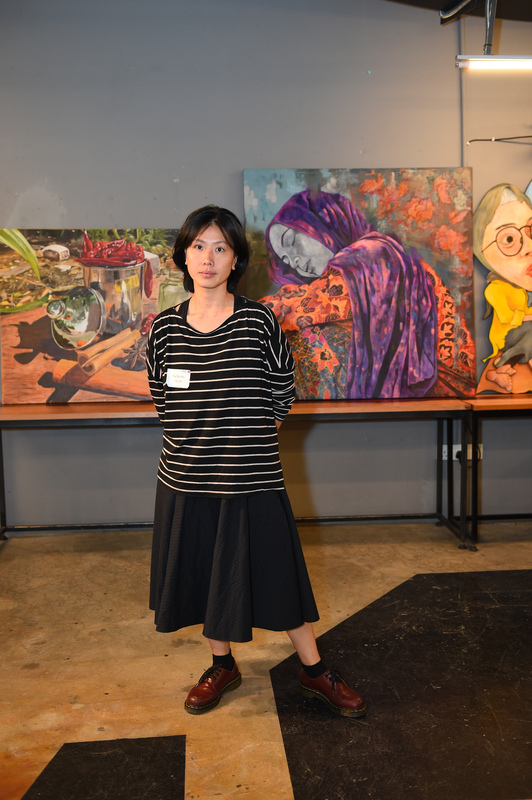 Despite her experience of cultural differences and ethnic institutionalisation living in Malaysia, Bibi Chew takes on a pragmatic perspective alongside an acknowledgement of reality when dealing with these issues, as well as an ability to see beyond containment. Many of her works speak of a delicate, subtle, compelling and controlled self, and they have been exhibited in multiple Asian, European and American countries. Bibi Chew regularly teaches art at Malaysian Institute of Art. 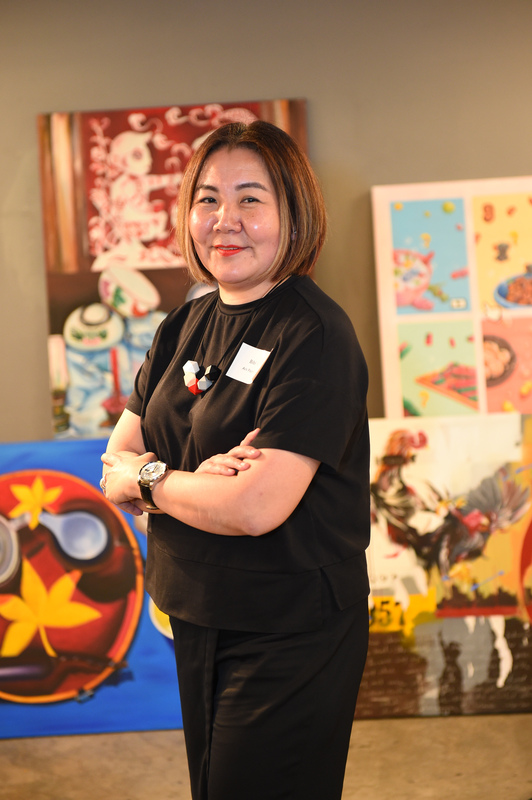 She has judged several art competitions and has won a number of major awards in Malaysia and abroad. Her latest work “What if …” (2017), also her first solo exhibition attracted a large group of audiences and national publications. Amri Ginang is a Semporna, Sabah-based commercial and portrait photographer specialising in editorial, lifestyle, beauty and corporate subjects. 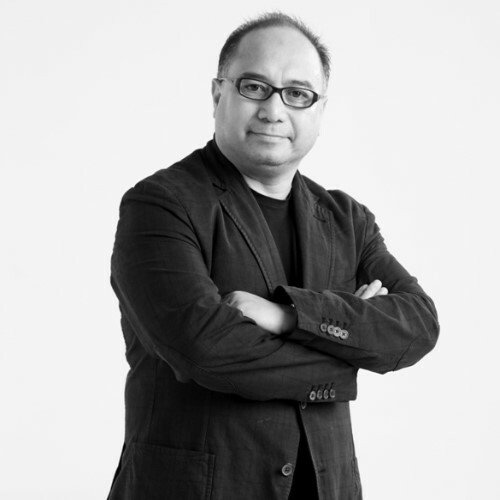 With more than 35 years of experience developing creative solutions for global brands, Amri Ginang is a nationally and internationally-published and celebrated photographer. He is responsible for the creative vision of leading corporations in local and global landscapes, encompassing clients from the Fortune 500 companies, Forbes Global 2000 companies, popular national publications, international airlines and many others. His solo work has been exhibited at galleries such as The Strand Gallery London, Foam Photography Museum Amsterdam, Yvon Lambert Gallery Paris and Petronas Gallery Kuala Lumpur to name a few. One of the highlights in his career is a B&W photograph of Royal Professor Ungku Aziz (2012), exhibited in The National Art Gallery to celebrate the inner life of prominent Malaysians. 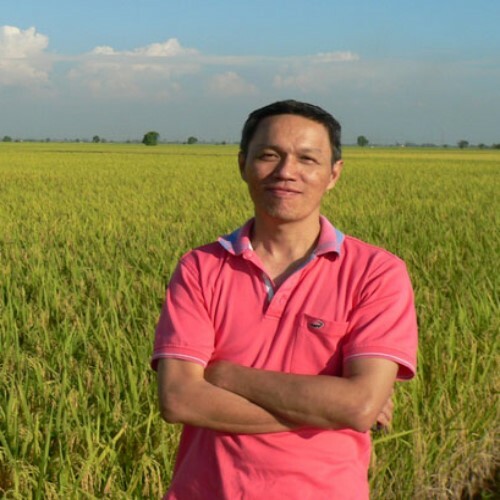 Amri Ginang is the author of “Portraits” (2014) and a co-author of “Vision” (1997). He also leads Creativa Studio, which offers professional photography services since founding the company in Petaling Jaya in 2007. After earning a Diploma in Photography, Zainudin Bin Arshad has worked as a photography lecturer in three local universities, photography contest judge and speaker for various commercial photography programmes at local universities, seminars and government agencies. He has worked with a variety of clients since joining Johan Design Associates in 1981. Over 7 years, he was responsible for producing images in the direction of corporate and publication works - specifically outdoor, aerial and studio photography. In 1988, Zainudin Bin Arshad started Dinarshad Studio to run the gamut of editorial, design and advertising assignments, creating commercial images for corporate reports, brochures, multimedia, advertising and new media. He continues to serve the creative industry through photos that span portraiture, interior architecture, studio, industrials, aerial, landscape and travel. A short list of clients includes Malaysian Airlines, Tourism Malaysia, Starhill Gallery, Mediaprima, Avillion Resort, Malaysian Philharmonic Orchestra, Asia Pacific Flight Training and many more. He is also highly sought after by international clients such as Makkah Hilton in Saudi Arabia, Design Spirits in Japan and clients from Singapore, Vietnam and Cambodia. Ng Kok Leong brings more than 31 years of photojournalism to The Star publication. At the age of 19, he embarked on a journey with the national newspaper after graduating from Hanxing Academy of Journalism with a Diploma in Professional Photography. He is currently a Photo Editor at the Star Media Group. Before hitting career milestones, he has attained several prominent achievements such as an Honorary Degree in Photography from Shih Hsin University Taiwan and an Honorary Fellowship with the Photographic Society of Malaysia. 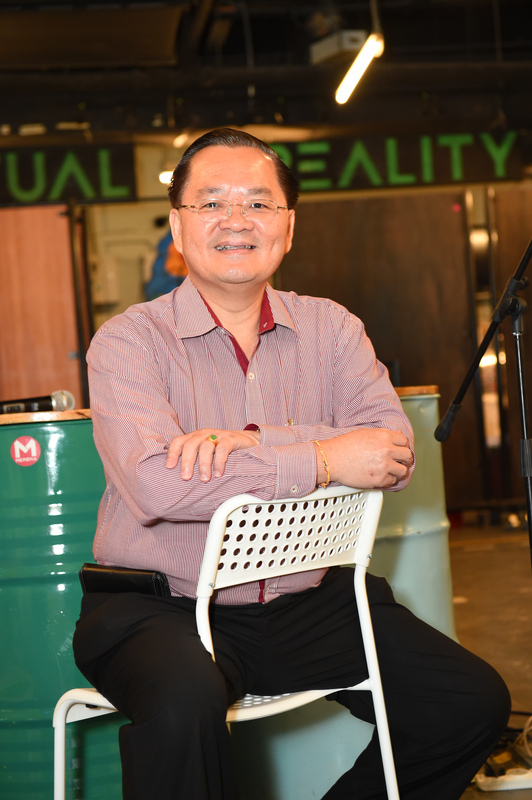 Known for his industry expertise, Ng Kok Leong has also earned a place as a judge and committee member for numerous local photography societies, government-sponsored and private photography competitions. His unwavering professionalism and love affair with all things photography has appointed him into the Canon EOS Hall Of Fame. 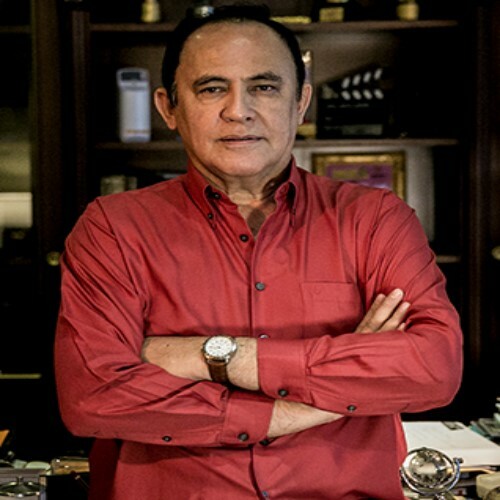 Datuk Yusof Haslam came from humble beginnings before embarking on an illustrious career in film. His creativity and enterpreneurial work ethic saw him through an array of jobs that included bus conductor, acting as an extra, starting a food and beverage service company to the government and selling used cars. 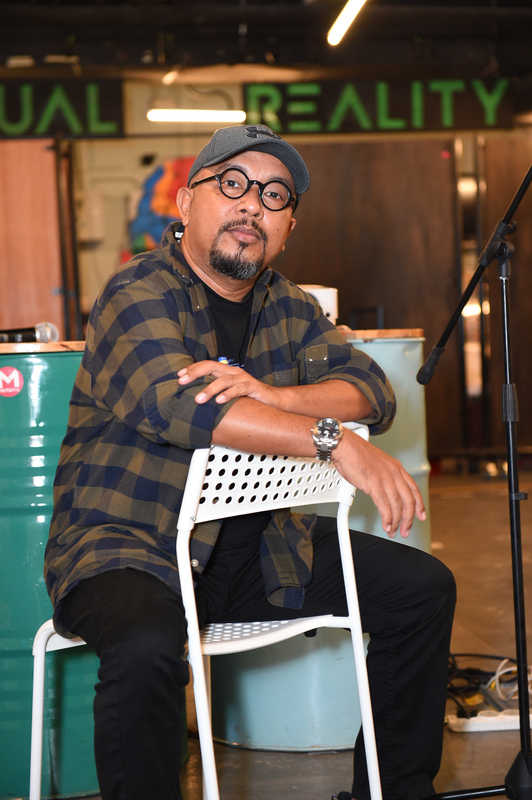 When his own Haslam Restaurant became successful, Datuk Yusof Haslam ventured deeper into film by learning more about screenwriting and founding Skop Productions at the tender age of 32. The production company went on to produce several romantic movies and broke into the limelight with hits such as “Gerak Khas” and “Roda-Roda Kuala Lumpur”. A father of four, Datuk Yusof Haslam continues to build on his distinguished contributions to the local industry and nation. Born in Negeri Sembilan, Datin Paduka Shuhaimi Baba is a screenwriter, film producer, director and lyricist. Prior to receiving professional training at BBC TV London and obtaining a Postgraduate Diploma in Filmmaking from the National Film & TV School, Beaconsfield, United Kingdom, she was a University Malaya graduate. Today, she is Founder and Managing Director of Pesona Pictures - a Malaysian film, television and internet content production company. With her vast experience in film production, she imparts her extensive knowledge to new talents through Pesona Pictures. 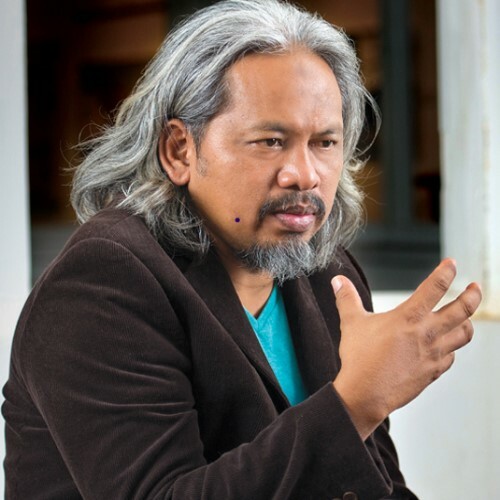 Datin Paduka Shuhaimi Baba has won the Best Director Award seven times, twice at the international level and five in Malaysia. “Windchucker” (2009, Discovery Channel) and “P. 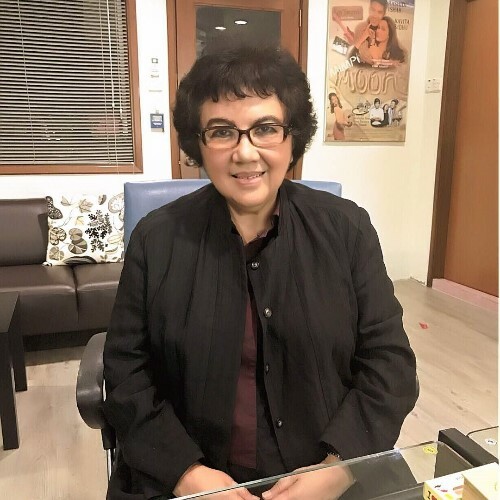 Ramlee” (2010, History Channel), two documentaries she produced and directed have garnered her Best Director, Best Film, Best Cinematography, Best Actor & Actress, Best Sound and Best Music awards. Adored by peers and countrymen, her films such as “1957 Hati Malaya”, the “PHSM” sequels and many others have also won awards from every local film festival. 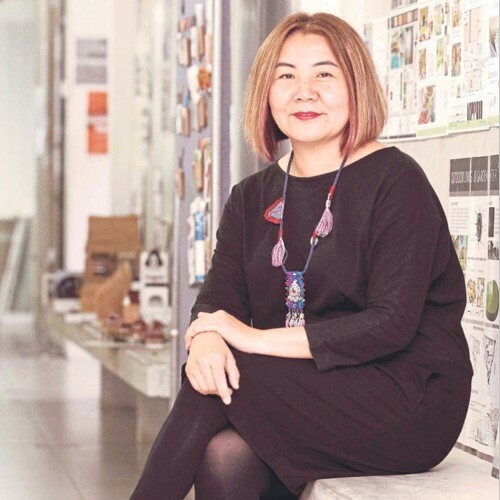 Her contribution to the Malaysian creative industry has earned her the ‘National Arts Award’ for Film Direction in 2009, the highest form of government recognition for the industry. Aside from filming, she is a founding director of Women At Work (WAW), a company that empowers women entrepreneurs. Tan Chui Mui is a filmmaker, producer, director and an actress. She has emerged as the first Malaysian filmmaker who has won numerous prestigious prizes and awards at the European festivals. She was also the first Malaysian filmmaker who was invited to the Cannes Cinefondation Residency. From Busan International Film Festival and International Film Festival Rotterdam to Clermont-Ferrand Short Film Festival and Oberhausen Short Film Festival, many of her short films and feature films received wide recognition in the international film festival scene. Her work is inspired by her small town upbringing, alongside personal growth and redemption. 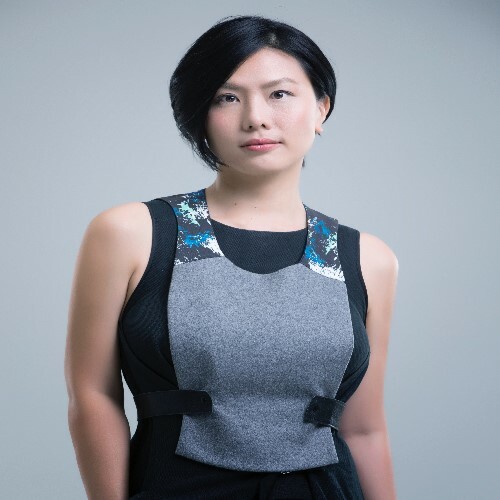 3 years after earning a Bachelor Degree of Multimedia in Animation & Film from Multimedia University in 2002, she founded Da Huang Pictures with three other independent filmmakers. When Tan Chui Mui isn’t producing, directing or acting in independent movies directed by her peers, she is committed to nurturing and mentoring new talents and aspiring filmmakers. She initiated Next New Wave in 2015, a platform that designs, organises and provides workshops for filmmaking enthusiasts to receive lessons from renowned filmmakers in the region. The multi-award winner has also been a jury member for Beijing Independent Film Festival, Hong Kong IFVA Award, Shanghai International Film Festival, Vladivostok International Film Festival, Busan Film Festival and International Film Festival Rotterdam to name a few. Master in Fine Art with the Catholic University of America in Wahington D.C. He has held numerous exhibition booths in groups as well as internationally.